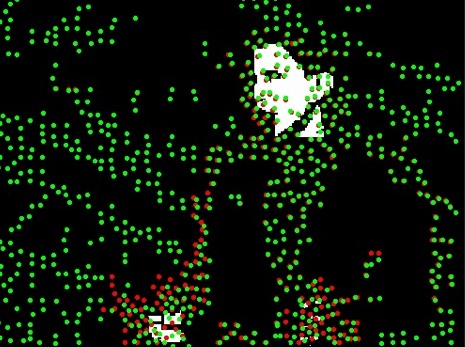 GreenDot is a research project that investigates motion capture, pattern recognition, and “Intrinsic Biometrics” techniques to detect human body language in video. The goal of the project is to train a computer to recognize a person based on his or her motions, and to identify the person’s emotional state, cultural background, and other attributes. Part of the research is based in Laban Movement Analysis.